Click this link for an updated list of our most popular organizational culture and leadership articles from 2016. 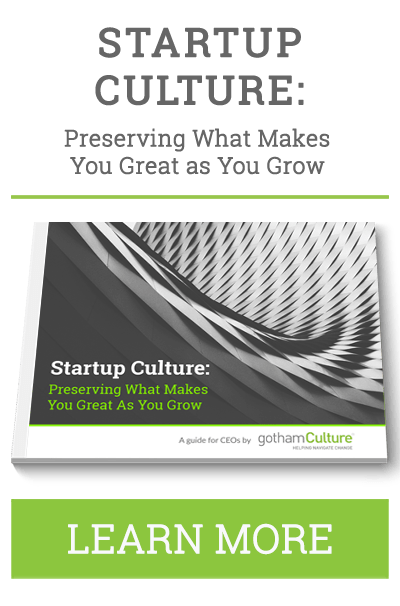 Our team of organizational culture consultants at gothamCulture love helping our clients reach their goals. But, we also know that not everyone understands where culture and leadership development fit into their current strategy. Through our blog, we aim to educate, entertain, inform and inspire leaders like you as you begin to understand the critical importance of organizational culture in driving the performance you desire. And over the past year, we’ve been writing a lot. Below you’ll find our 7 most popular blog posts of the year so far. We hope the articles here serve as a spark that ignites the change you need to reach your goals. No matter what last year means to your organization, 2015 is a brand new year, and for most companies, it means an opportunity to do things differently. You may be wondering how to reignite the flame that drove your business in the very beginning. Maybe you need that one big change that’s going to excite your team to succeed in the New Year. Understanding, and more importantly, developing a high-performing culture allows you to build and achieve your strategic objectives. A well defined, established corporate culture will provide the framework for your organizational development and strategic planning. Allow this culture to guide your planning process. 3. 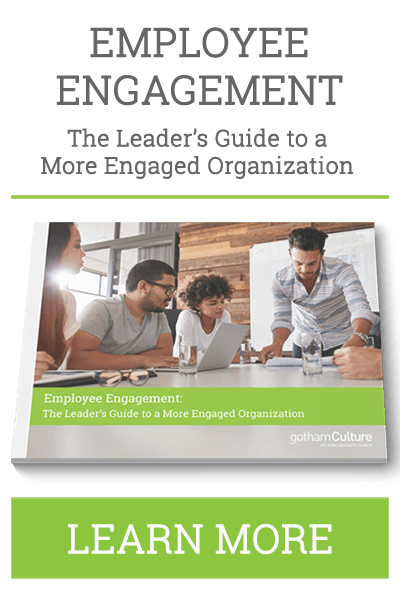 How Can My Company Increase Employee Engagement? There’s no doubt that today’s business landscape is changing rapidly. Now is the time for organizations to consider changing their culture to support their younger team members, or risk losing them to the more forward-thinking competition. When I work inside an organization, I pay particular attention to the stories that are being told, and it doesn’t take long to pick up on things. Each of those stories has a place, and tells a message – either of a corporate value being applied or being ignored, about the future of the organization, its past, or the leaders. Sometimes those stories serve the organization well, and other times they don’t. Want even more insights on organizational culture and leadership development? Consider signing up for our newsletter to get insider updates and resources that will help you navigate change.